Welcome to MyCozyAdventure. 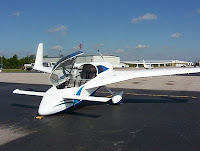 This site follows my personal journey to fulfilling a dream of owning my own aircraft and my goal to have it "Fly By 50" or "FB50" for short. In other words, finish it and have it in the air before I turn 50 on July 24th, 2018. Since a kid, I've had a passion for airplanes and flying. I received my private pilot’s certificate in 1987 while in college and ever since have dreamed of some day owning my own airplane. After considering the traditional ways of flying...renting, partnerships, large bank loan purchases, etc...I found myself excited about the concept and challenge of fulfilling that dream by building my own airplane. So which airplane? The Cozy Mark IV, a Nat Puffer designed derivative of the famous Rutan Long EZ (pronounced eee zee). Click here for a short Cozy video. Why a Cozy MkIV? Because it has to be the coolest airplane ever designed on the planet! Also, I wanted an airplane that was an affordable fun weekend flyer, could carry 4 passengers when needed, but was also a great cross country aircraft. After a little research, the choice was easy. The Cozy MkIV is capable of carrying 4 passengers or 2 passengers plus a lot of baggage, over 1000 miles, at 20,000ft, at 200+mph. In addition, it has a space age "cool factor" you just can't find on many aircraft. 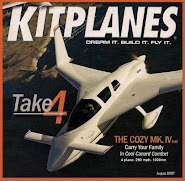 The Cozy MkIV is a composite aircraft built from plans and materials. It’s fabricated instead of assembled from a kit which allows you to buy the aircraft as you build it instead of having to lay out $30-60k all at once. Assuming you enjoy the challenge involved in the building (and you better or this is not for you) the ability to buy as you build makes it a great option for those not wanting to go into deep debt to support their flying habit. Through this site, you can follow my progress, chapter by chapter, over the coming years as I work to build this machine. Be sure to subscribe to updates if you wish to track my progress.